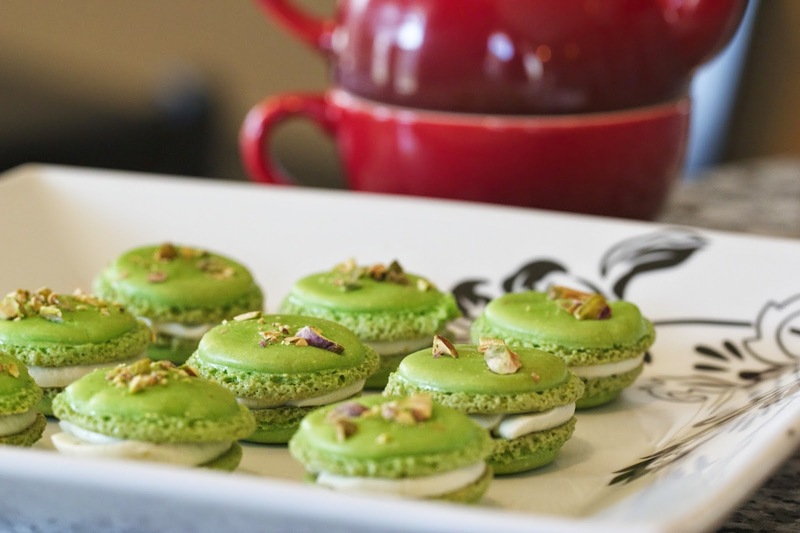 French Macarons are a difficult recipe that is definitely worth mastering. They're hard to find in many stores and unless you're going to a good bakery, the taste isn't worth it. When you do go to a good bakery, you're going to pay a few bucks for that quick, wonderful bite. So the effort to learn and master this recipe is going to give you an amazing dessert that will win rave reviews. We're coming up on Mothers Day as well and these would be a perfect way to celebrate your Mom! With this one though, I can almost guarantee you're going to have some flops. They're tricky to get right and even when you've practiced a few times and think you've got it down, the next batch goes down in flames. I've got a few tips and tricks for you though that will simplify the process and help you move along quickly to some amazing results. And when you get it you'll know. It's that perfectly crunchy exterior that gives way to a chewy inside that you wouldn't think would be possible. There are hundreds of combinations, from simple to super complex and each one is going to be amazing in its own right. Egg Whites: Don't overwhip your egg whites. You want soft peaks, not stiff. If you overbeat them it's going to make your shells more likely to crack when they bake. Fold, Don't beat: when you combine the egg whites with the flour, gently fold the mixture together and continue folding about 30 times. Piping: I add my mixture to a freezer bag and then snip the corner. The batter should be fairly runny, similar to a thicker pancake batter. Pipe small circles, they'll spread a bit. I tend to like a smaller cookie but experiment with sizes until you get what you like. Try to keep the circles consistent though as you'll be matching them up to make the sandwiches. You can use a Silpat that has the circles marked or you can mark the backside of parchment paper and lay it on your cookie sheet. 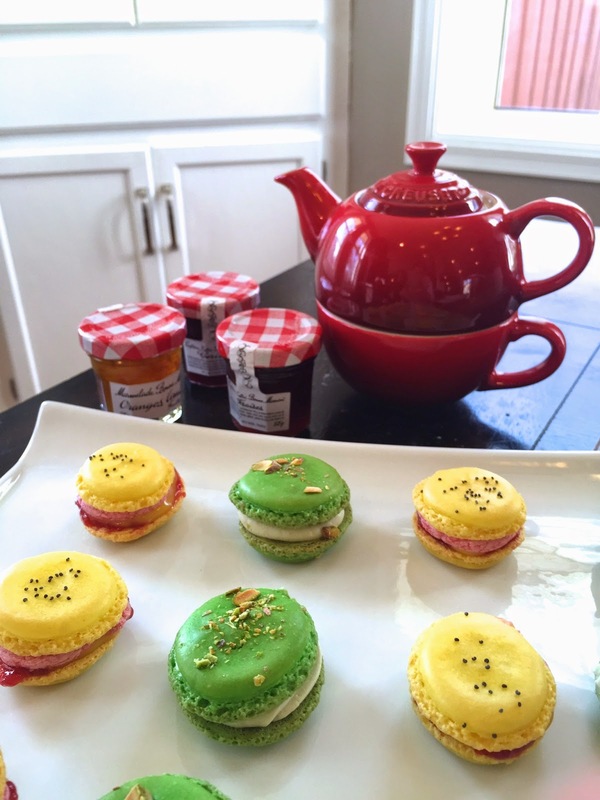 To help out in your Macaron mastery journey, the whole Virtual Potluck team is sharing Macaron recipes today and we're giving a whole kit of products that will turn your kitchen into a Macaron factory. 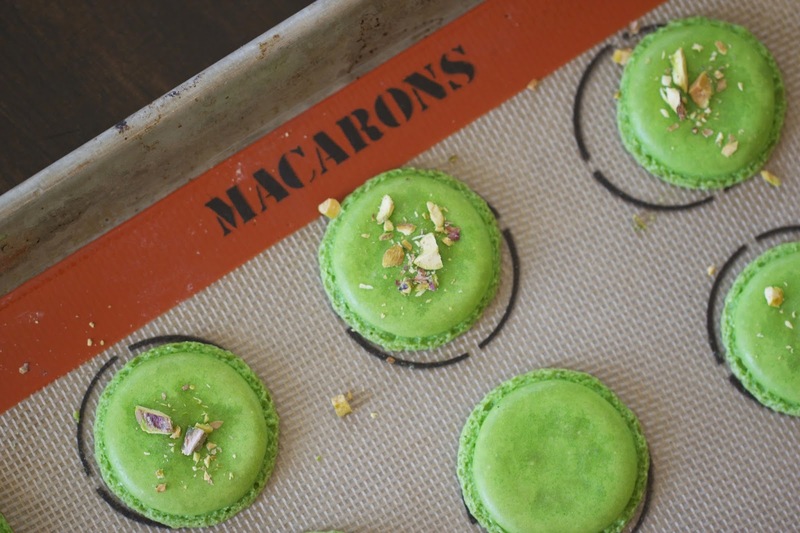 You'll get a Silpat Macaron kit that has all the tools and supplies you'll need. We're also including a Le Creuset Tea for One Set and Bonne Maman fruit spreads. Check out the entry from at the bottom of the post to enter! Almond flour (sometimes labeled "ground almonds") and hazelnut flour can be found at specialty foods stores and natural foods stores. Look for rose water at supermarkets, specialty foods stores, and Middle Eastern markets. Line 2 large baking sheets with parchment. Sift powdered sugar, almond flour, and hazelnut flour (if using) into large bowl. Using electric mixer, beat egg whites, sugar, and pinch of salt in medium bowl until medium peaks form. Add egg white mixture to almond mixture; fold to incorporate. Working in 2 batches, fill pastry bag fitted with 1/4-inch-diameter plain pastry tip with batter (batter will be thin and will drip from bag). 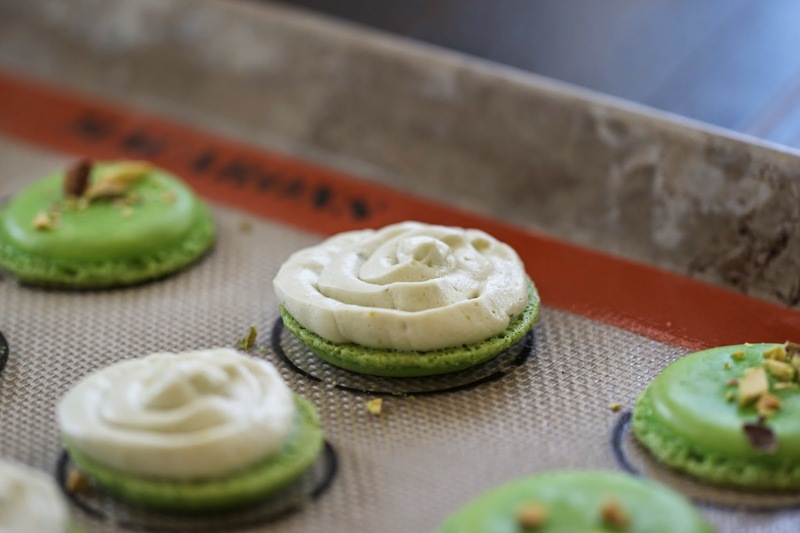 Pipe batter in 11/4-inch rounds on baking sheets, spacing 1 inch apart (cookies will spread slightly). Let rest on sheets at room temperature 20 minutes. Position 1 rack in top third and 1 rack in bottom third of oven; preheat to 375°F. Bake cookies 5 minutes. Reduce oven temperature to 325°F. Continue to bake cookies until puffed and golden on top, about 10 minutes, reversing sheets after 5 minutes. Cool cookies on sheets on rack. Carefully peel cookies from parchment. DO AHEAD Can be made 1 day ahead. Store in airtight container at room temperature. Combine milk and flour and cook over medium heat, stirring constantly until the mixture thickens. Continue cooking 1-2 minutes longer and the mixture is completely smooth. Remove from heat and cool completely. Cream together the sugar, butter and vanilla for 10-12 minutes. 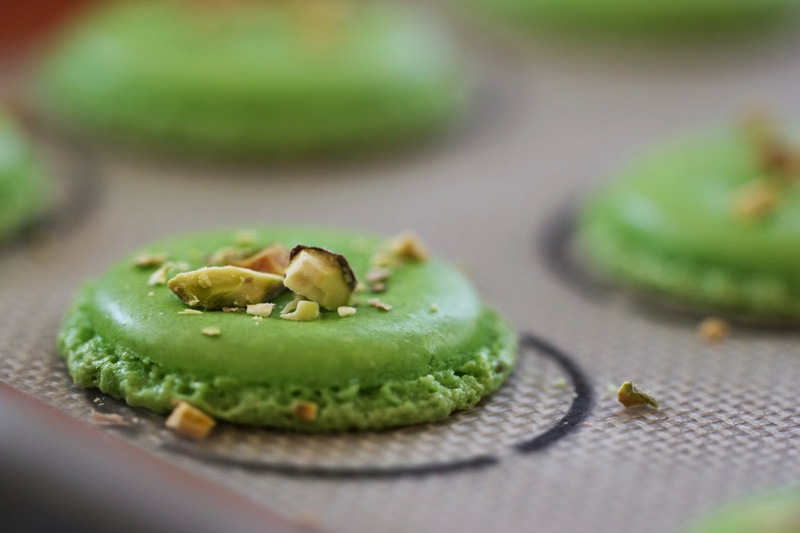 Add in the cooled milk and flour mixture and pistachio cream and cream for an additional 5 minutes or until the mixture is fluffy and smooth. Pipe filling onto one cookie and sandwich together. Disclaimer: I was provided the same items as the prize pack. No other compensation was provided. All opinions are my own. This recipe looks delicious! 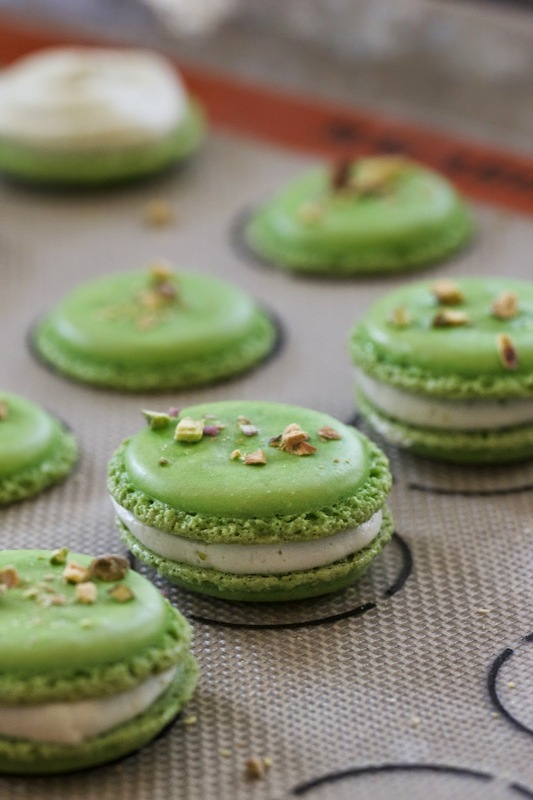 I've been wanting to make macarons for a while, but have been somewhat intimidated ... will definitely try this one! 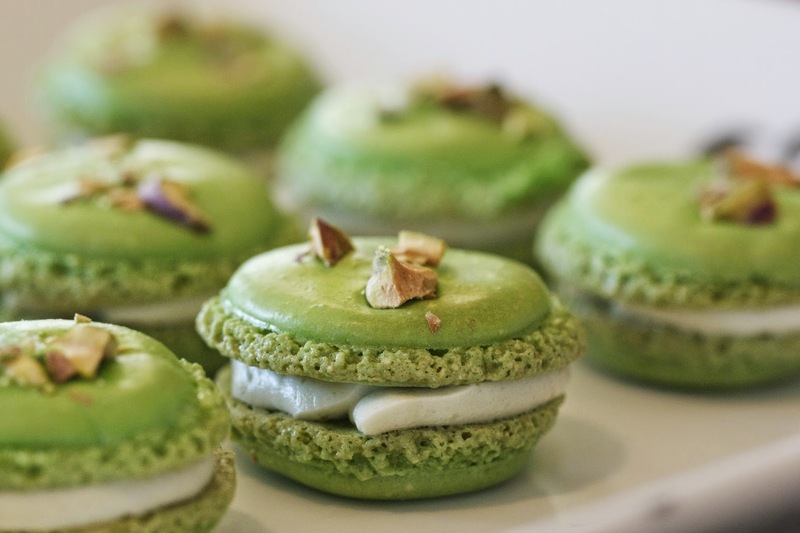 One question though, where would I find pistachio cream? Also, there is no entry form for your contest. Try it again now and let me know. It wasn't showing up on some browsers but it should now. Thanks! 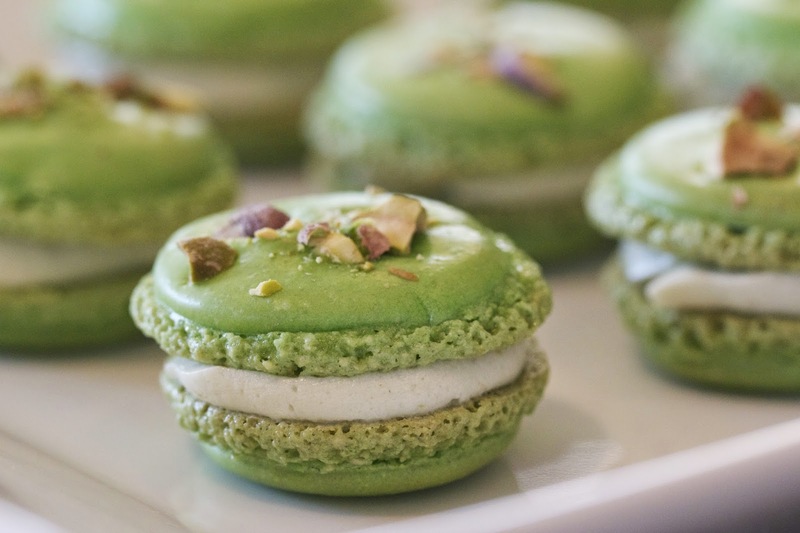 Also for the pistachio cream, it may be at some specialty food stores near the nut butters etc. or maybe find it online if not! Matt- Will you be announcing the winners on your website? Or just emailing them individually? Also, have you tried your doughnuts yet with butter instead of shortening? I am curious to see if it makes a difference with how they raise or taste. We don't eat shortening at our house, so no matter what I will make them with butter, but didn't know if I needed to change the recipe a little because of it. Thanks!